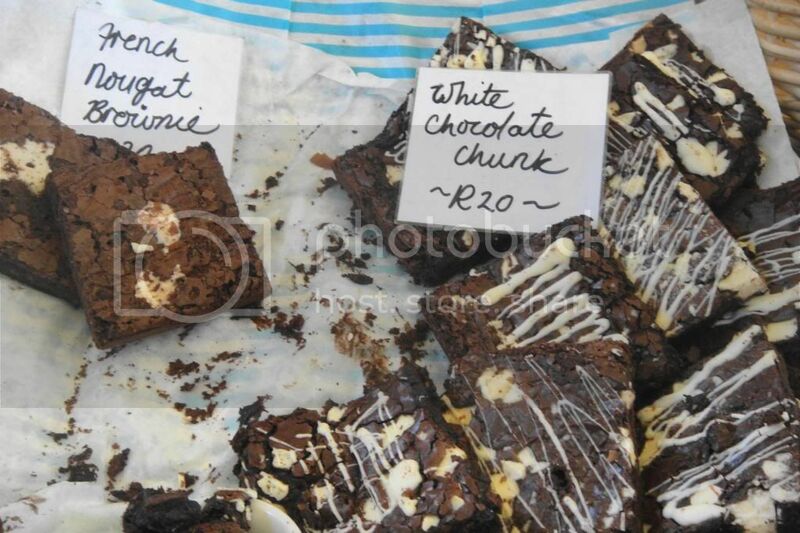 The City Bowl Market is one of my favourite places in Cape Town. I started out as a fan of their Saturday morning markets, then their Thursday night markets were my favourite- BUT NOW- my very favourite CBM is the Thursday night wine market from 4:30 til 8:30. 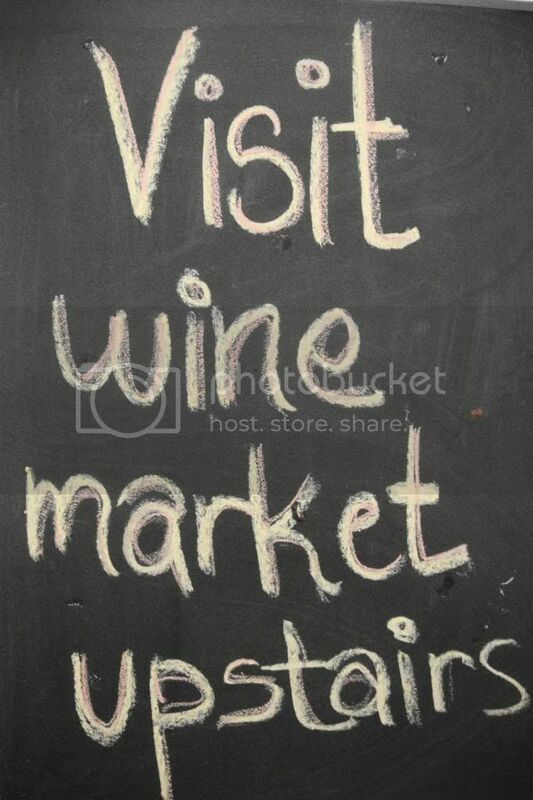 What the wine market is- is all the previous magic and madness of the Thursday night market with the added bonus of being able to taste wine from 6-7 different wine estates! Just incredible! While we were waiting for other friends to arrive for the wine tasting we had the pleasure of wondering around the food section of the market. We started with the fruit and vegetable section. I bought 3 baby pineapples for R10 to make my pineapple flower cupcakes and 5 granadilla’s for R10. 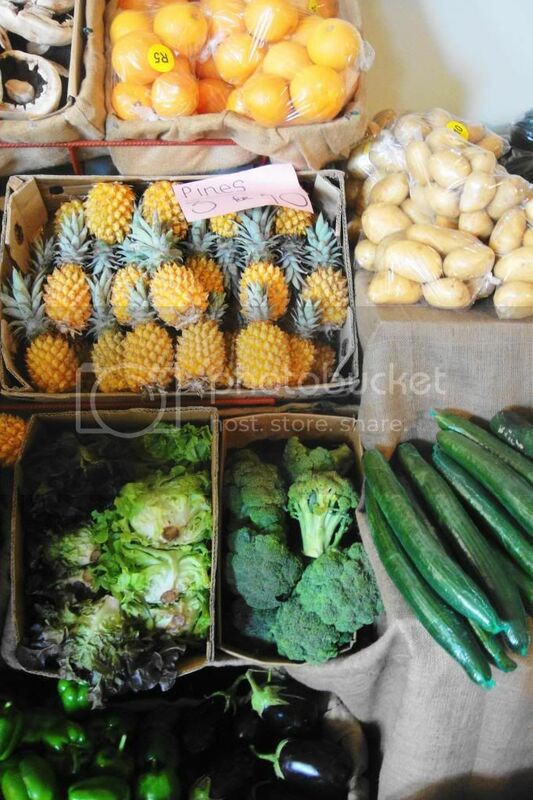 The fruit and veggies are always wonderful because they stock a large variety, at great prices and always fresh! Look how beautiful these mangoes are? My new favourite discovery of the CBM is Las Paletas! 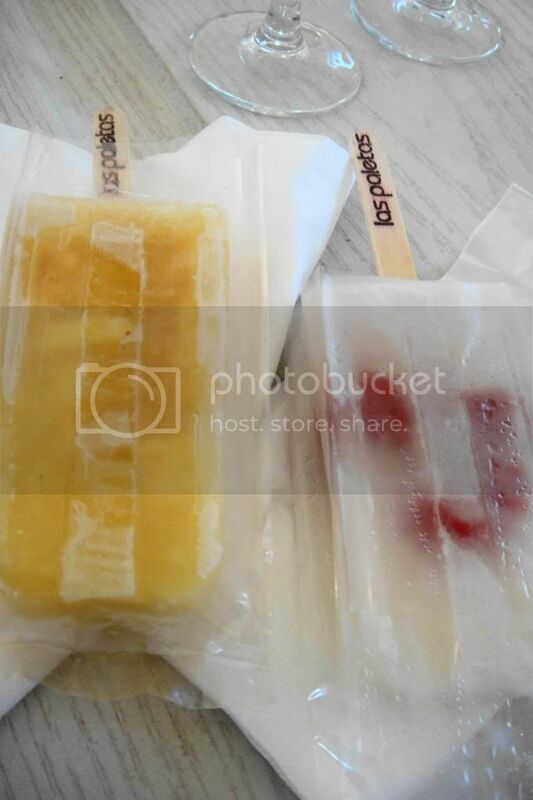 They make hand made fresh fruit Colombian ice lollies in the most wonderful flavours ranging from blackberry and yoghurt to litchi and raspberry with no artificial additives. So healthy and delicious! 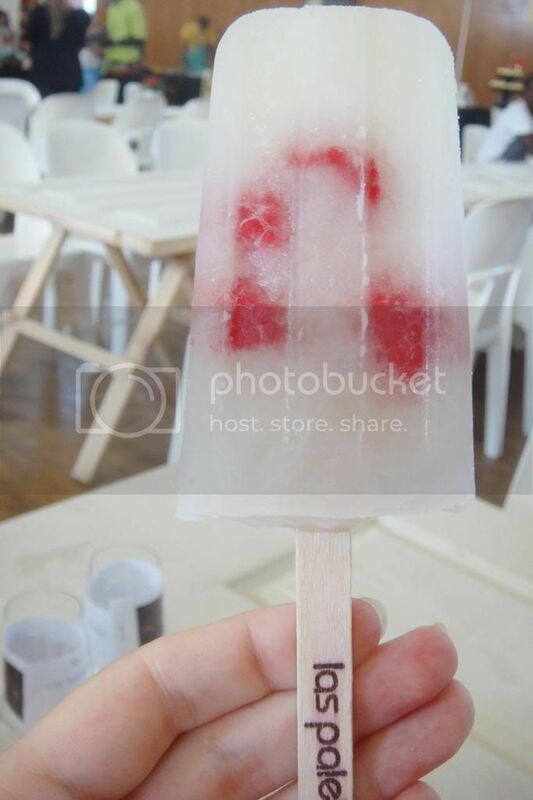 You can grab their amazing lollies for R20 each. We went with the pineapple and chilli, litchi and raspberry, and cucumber lemonade. There are some facts universally known about me- my serious love for mushrooms, the belief that caramelised onions should be served at any opportunity, that I don’t like red wine and that I believe that the La Petite Moo Brownies lady is an absolute genius! I am a long standing fan of the gooey chocolate magic she calls brownies. 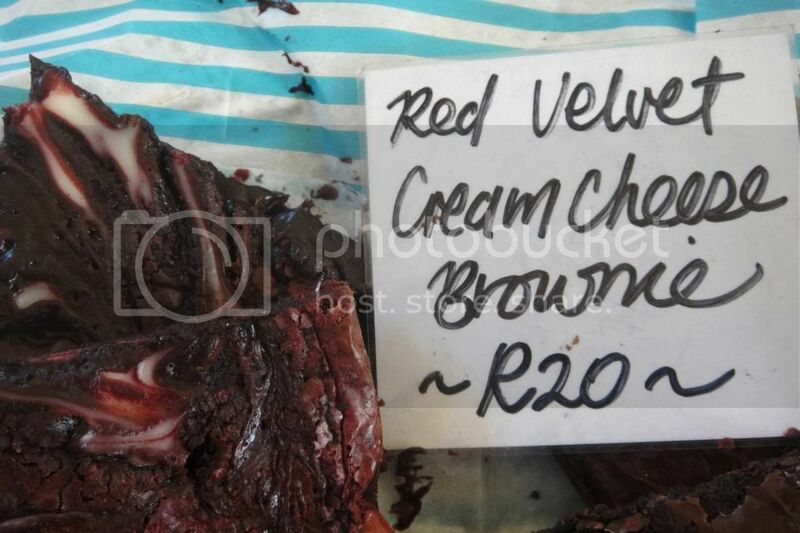 Here is something new for me- both the Red Velvet Cream cheese brownies and the lovely gift bags including a variety of different brownie flavours for R35. The Red Velvet Cream cheese brownies are wonderful! They are gooey and mushy as all her brownies are but they are also sweet and tart because of the cream cheese frosting. And the gift bags do make wonderful gifts- but sadly they are not long lasting gifts! Snapped up in minutes! Now I’m a big fan of Chasam’s. They use to serve these amazing mushroom kebabs but sadly they don’t do that anymore. 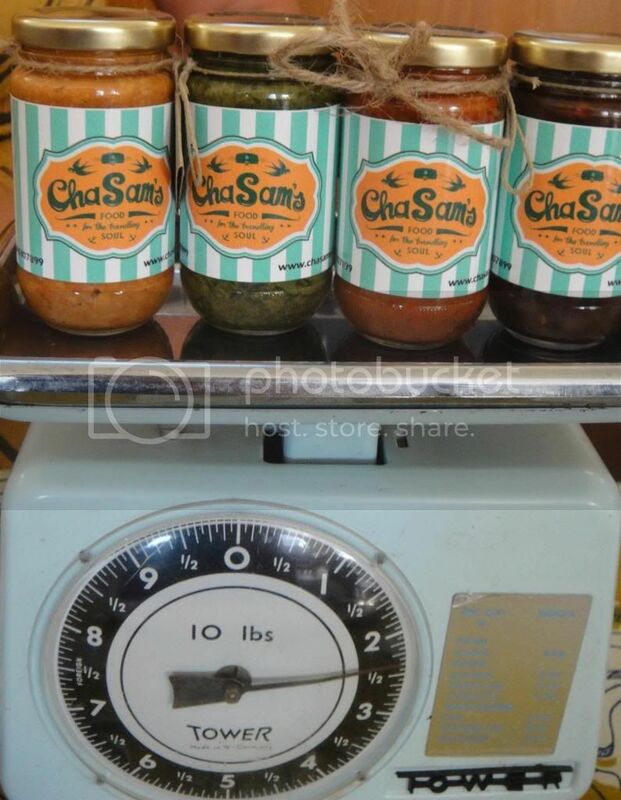 But luckily they still have some great pestos and pastes on offer! The bottles are so beautiful and the insides are so delicious! My favourite was the sundried tomato and almond pesto- I eat it layered on seeded wholewheat bread with lots of cheese. Every time I go to the market I make mental notes of what to order next time. And next time I will be ordering the chicken and chorizo Spanish paella. Just look how beautiful it looks! Delicious! 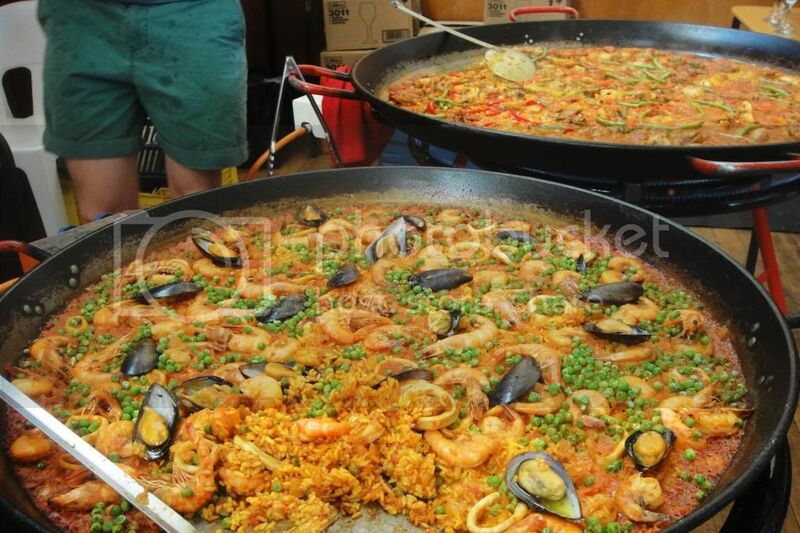 I would have ordered this for dinner- but by the time I was finished drinking wine upstairs all the paella had been snapped up! So here comes some advice- either drinking wine early, or eat early- because if you end up drinking wine too late- everybody will be sold out!! And finally our missing friend arrived and we were on to wine time! YAY! So as I said they have 6 to 7 wine farms. 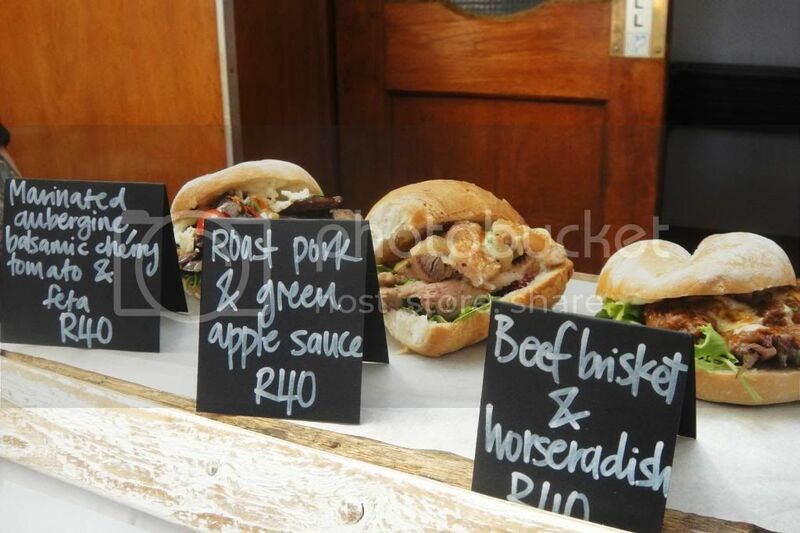 You pay R50 for 9 tasting vouchers and one glass of wine of your choice for dinner. Warning: choosing your glass of wine for dinner is more difficult that you think! 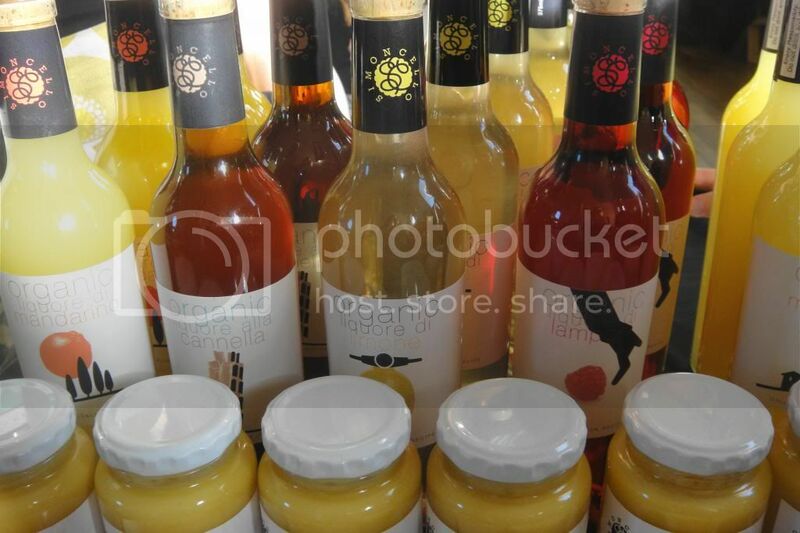 The wine farms this week were AA Badenhorst Wines, Noble Hill Winery, Thelema Vineyards, Sumaridge Estate Wines, Hermanuspietersfontein and Raats Family Wines. That is a lot of wine farm options! Seriously! Even a crazy kid like me who only drinks white wines found more options than I had coupons for! It’s such a great deal and such a wonderful way to spend a Thursday evening. I also really enjoyed the Hermanus- pietersfontein sauvignon blanc, and their rose was lovely too! 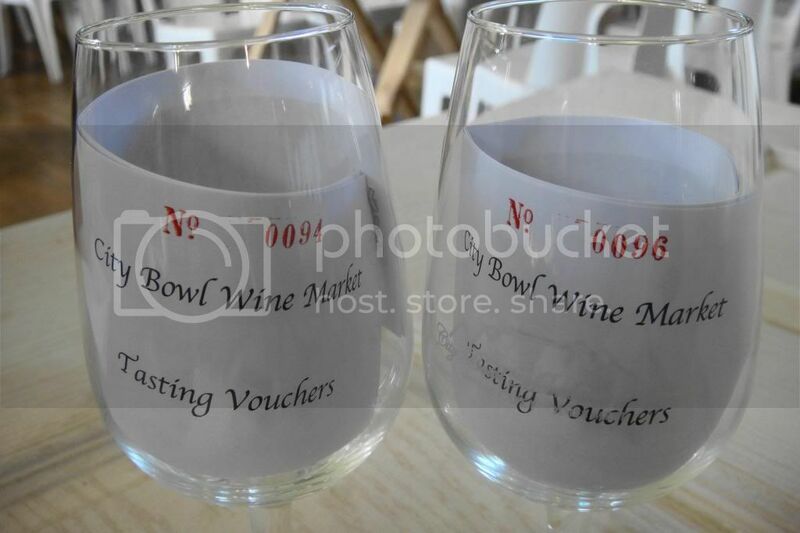 Will be looking out for their wine in the future. 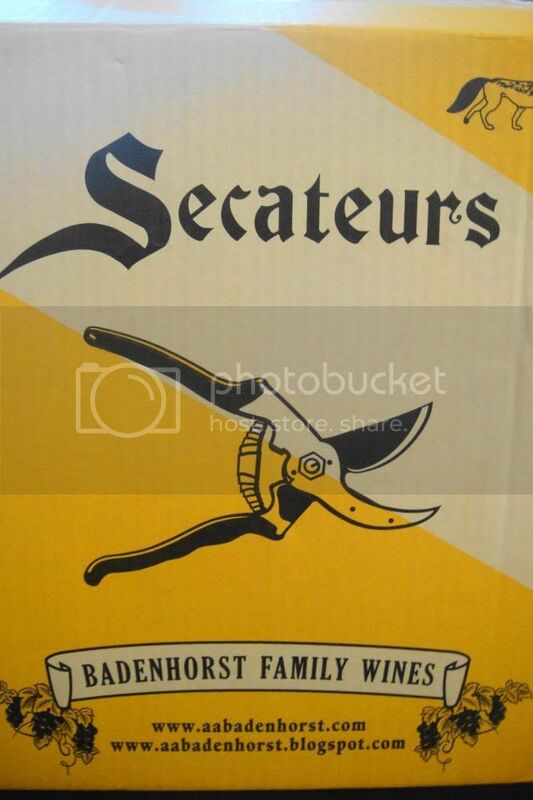 Sutherland had a wonderful 2012 Sauvignon blanc on offer which I loved. 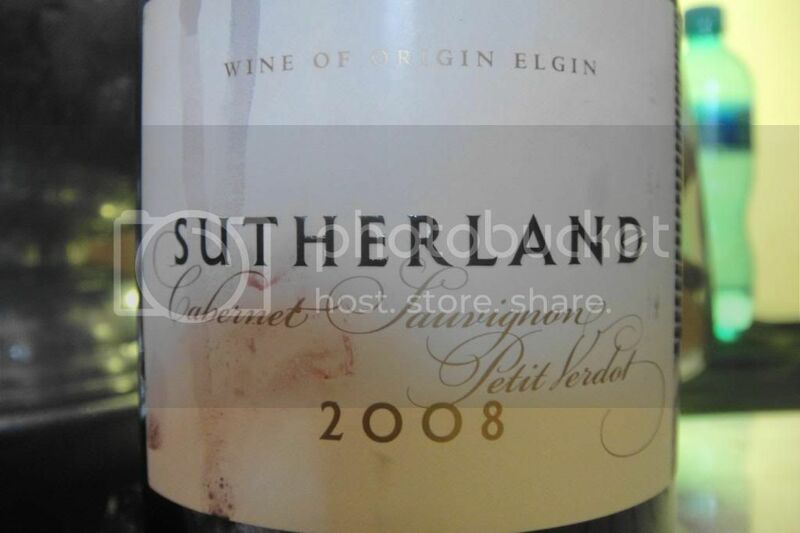 A special mention needs to go to the Sutherland’s 2008 Cabernet Sauvignon Petit Verdot. I am infamous for my dislike of red wine- let me tell you- this is the very first red wine I have every actually liked! It was wonderful, smooth and didn’t taste like smoke or ash! I was so happy to have had this opportunity to find this wonderful wine! And after my many rounds of the wine upstairs- we headed downstairs to hunt for dinners. I say hunt- because by the time we made it downstairs food was scarce on the ground! You make this crazy- but I must tell you- by the time we got downstairs it was 8:20 and the market was to close at 8:30! So I grabbed the very last roasted aubergine, tomato and feta roll-which was delicious and envied by my fellow dinners. They finally politely asked us to leave at 8:45! So I was there from start to finish and enjoyed every minute of it! Congrats CBM! See you next Thursday!